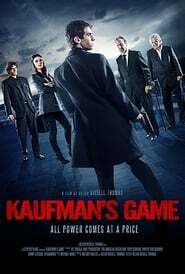 Kaufman’s Game follows Stanley, a driven young man with a passion for boxing, who is keen to improve his strength and stamina. When a shady stranger approaches him outside the gym with the offer of a specially produced steroid, Stanley is drawn into the ever more violent operations of a powerful organization, unwittingly entering into a series of tests designed to prove his mettle. This is a film about power, determination and being your own worst enemy. It celebrates the archetypes of classic Film Noir, and the dark, conspiratorial storytelling technique of Franz Kafka, but with a contemporary minimalist aesthetic.